The first traces of hemp date back to China during the Neolithic period, around 3000 BC. 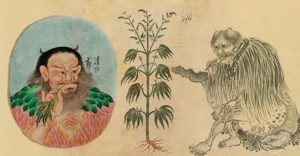 The legendary Chinese emperor Shen-Nung, in a book of drugs written around 2737 BC , prescribes hemp resin as a remedy against “female weakness, gout, rheum, malaria, flu, fainting”. Other news is contained in the oldest work of Chinese medical literature still in use, the Nei-Ching, the author of which would be the emperor Kwang-Ti, who lived between 2698 and 2599 a.c. The flowers (ma-p’o) were used to treat open wounds, the seed peel (ma-len) and the resin that adheres to the seed, to stimulate the nervous system; the seeds (ma-jen) were used to fight inflammation of the skin and were considered tonics, restorative, laxatives, diuretics and excellent for freeing babies and animals from worms; the oil (ma-yu) was used as a tonic for hair and against sulfur poisoning; the fresh juice of the leaves to cure scorpion bites and the fiber was used to make cordages and fabrics. The plant is then described in the Rh-va, which dates back to 1500 BC., and it is known that in 500 BC. the taxes were paid with pre-established quantities of hemp; around 220 d.c. its resin, mixed with wine, was used as an anesthetic with the name of ma-yo. According to a universally accepted tradition, the Chinese were also the first to produce paper in the first century AD , and the inventor was a certain Ts’ai Lun, from the province of Hunan, north of Canton. The oldest existing paper documents are Buddhist texts of the second and third centuries AD preserved at the British Museum. The analysis by the Viennese doctor Wiener showed that this paper is “a mixture of bark and old rags, made mainly of hemp. The paper of the first large-scale printed book, the Dharani book also known as the book of prayers, dated 700 AD it is made up of 100% hemp. On the banks of the Caspian Sea, in Iran and in Mesopotamia, the use of hemp for intoxicating purpose was rooted in ancient times, as confirmed by some Assyrian tablets from the seventh and eighth centuries BC. 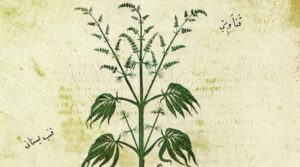 The importance of the intoxication caused by hemp results from the enormous spread of the corresponding Iranian term throughout Central Asia. The Iranian word designating hemp, bangha, in many Ugrian languages means both the shamanic mushroom par excellence, the Agaricus Muscarius, and the drunkenness itself. 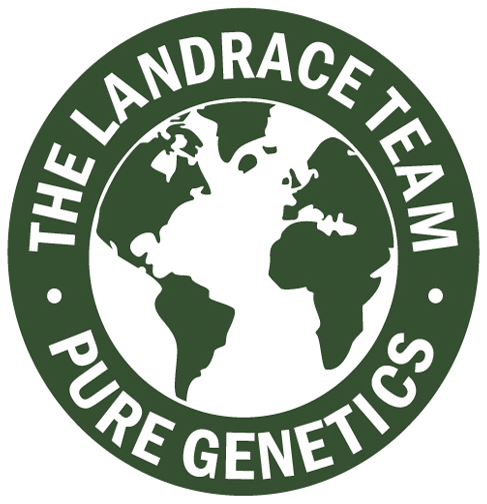 But the most relevant news to establish in what culture cannabis was used for the first time as a drug is contained in a study published in 1935 by Sara Benetowa of the Institute of Anthropological Sciences of the University of Warsaw: “After comparing the words which mean hemp in Indo-European, Finnish, Turkish, Tartar and Semitic languages, the conclusion is that there are only four groups left to examine: 1. Sanskrit “cana”; the Slavic “konopla”; 3. The Semitic “kannab”; 4. The Greek “cannabis”. In all these languages ​​the words that mean hemp have the common root “kan”. This root with the double meaning of hemp and cane is common to almost all the languages ​​of antiquity. It is easy to prove that ‘canna’ means both ‘hemp’ and ‘cane’, but what is the meaning of ‘bis’? The answer is not difficult if we take into account an interesting detail encountered in various Semitic texts of the ancient East. Take, for example, the original text of the Old Testament and its translation into Aramaic, the Targum Onculos. The word ‘kane’ or ‘kene’ sometimes appears alone, sometimes together with the adjective ‘bosm’ (in Hebrew) or ‘busma’ (in Aramaic) which means: odorous, aromatic. As demonstrated in detail in this study, the biblical ‘kane bosm’ and the aramaic ‘kene busma’ mean both hemp. The linguistic evolution of the terms in question leads to the formation of a single term ‘kanabos’ or ‘kanbos’. It is found in the Mischna, the collection of traditional Jewish law, which contains numerous Aramaic elements. 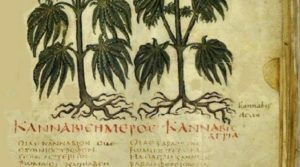 The extraordinary resemblance between the Semitic ‘kanbos’ and the Shiite ‘cannabis’ suggests that the term was of Semitic origin. The Shiites of Iran were probably related to the Medes, who bordered the Semites, and could easily have assimilated the word that designated hemp. The Semites could also have spread the term during their migrations through Asia Minor. Bearing in mind the matriarchal element of the Semitic culture, one might believe that Asia Minor was the original point of expansion of a society based both on matriarchy and on the collective use of hashish. Let us now look at the factors that could have contributed to cause the collective use of drugs in the matriarchal group. An important element is that in the preparation of the fiber and during the harvest of the plant, the smell was so strong as to intoxicate the workers. According to ancient customs, which have survived even in recent times, all the works related to hemp are carried out collectively. From the earliest times, the hemp crop was considered as a holiday, especially for young people. In many regions, the harvest was a kind of gathering to which guests took part with or without a mask, offering every kind of gift to the workers. Another element is the custom of sacrificing in honour of the ancestors, parts of the plant or the whole plant. In Poland, for example, on the night before Christmas, a special food made from hemp seeds called ‘hemp soup’ is served, because, according to popular superstition, at that moment the souls of the dead visit their friends and their family to celebrate together. 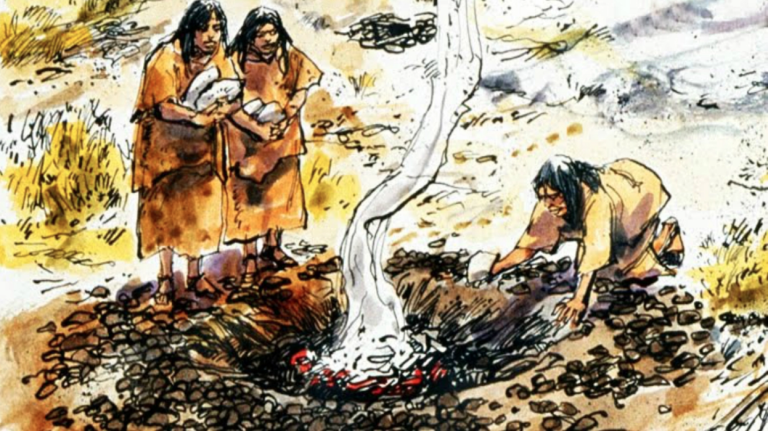 Another trace is the Polish habit of throwing some hemp seed into the fire as a sacrifice during the harvest. An obvious link between the sacrifices in honour of the dead and the collective use of hashish can be found in the funeral ceremonies of the Shiites. Numerous ancient oriental texts mention cannabis: Solomon in the Bible calls it with the name of ‘kalamo’, while with the name of ‘suama’ it was drunk in the Sinai area and smoked in the synagogues; the Atharva Veda, compiled between 2000 and 1400 a.c. in which the word bhanga has the double meaning of hemp and intoxication, compiled between 2000 and 1400 a.c. , in which the word bhanga has the double meaning of hemp and intoxication; the Zend-Avesta, a Sanskrit text dating back to several centuries before Christ, which describes its inebriating qualities, calling it ‘cadaneh’, the fourth book of the Vedas, from about 1500 BC, which calls it ‘vijaya’ (= source of joy) and ‘anada’ (= triggering laughters); The medicinal use is instead attested by one of the oldest known medical books, the Susruta Samhita, in which hemp is recommended for the treatment of catarrh. Another Sanskrit work of medical material, the Rajbulubha, alludes to its use in the treatment of blenorrhagia. “The Shiites, when their close relatives die, they carry them around to their friends on a cart, and each of the friends, receiving them, offers a meal to the cart carriers, and even to the dead man offers everything he has offered to the to others. For forty days the body is so carried around, and eventually it is buried. When the burial is done, the Shiites purify themselves in this way. After having anointed and cleansed the head, they do this to the body: they plant three poles inclined towards each other, spread over and around them woolen covers, and tighten and secure the blankets as much as possible, they throw hot stones into a container placed in the middle of the poles, under the covers. … A hemp plant grows among them … it grows both spontaneously and sown … The Shiites, therefore, after taking seeds of this hemp, enter under those tents, and then throw the seeds over the red-hot stones. 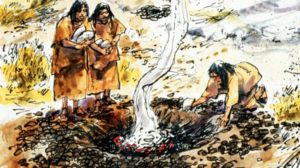 The seeds thrown produce smoke and emanate a fume such that no Greek steam bath could compare to the fume caused by the burning of these seeds. The Shiites inebriated by the fume send out screams of joy. This serves them as a bath, because they do not wash their bodies with water “. 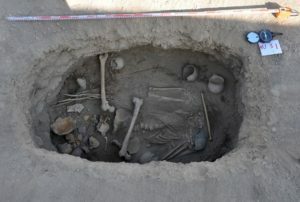 A recent archaeological research has brought to light several Shiite graves in the Altai mountains, near the Mongolian border, extremely well preserved due to the intense cold, demonstrating the accuracy of Herodotus’ description: “Particularly interesting was a kind of cone-shaped miniature tent. , covered with a piece of leather or felt, over a copper brazier. The cannabis seeds found on the spot suggest that this tent was a special environment to be filled with the intoxicating smoke that developed from the burning of the seeds “. Pomponius Mela also confirms the account of Herodotus, who then speaks of a strange use of the Massegetes, the people who lived between modern Azerbaijan and Persia: “They have trees that produce very strange fruits. When they gather, they sit in a circle around the fire, throw the seeds on the flames and become intoxicated by breathing the smoke that comes up, just as the Greeks do with wine “.